Trademark Screening is even easier, faster, and more cost-effective using Corsearch Vantage automated query tool. Quickly fine-tune your Trademark Screening strategy, without re-typing complex query strings. Use Corsearch Vantage to run screenings with ease and efficiency. Quickly fine-tune your screening strategy, without repeatedly typing complex query strings. 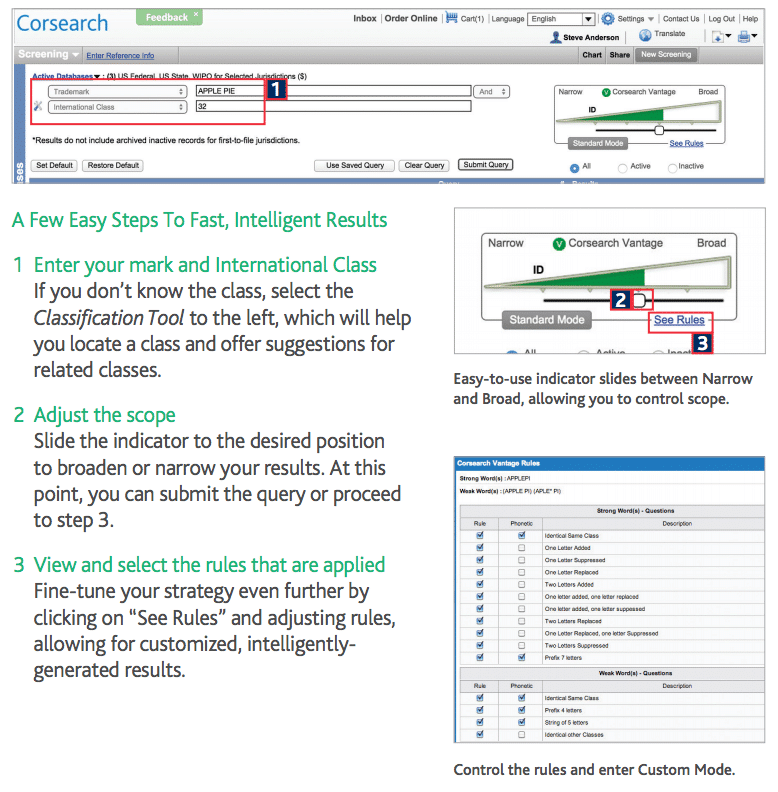 Decide whether you want to view broad results, narrow results, or anything in between. Vantage also lets you view and adjust the rules it applies to suit your work process, making it the most customized automated solution on the market. You can also combine Vantage results with your own traditional results for maximum coverage.